Do your yellowed teeth embarrass you? Well, you are not the only one. Every year Americans spend millions of dollars on various over-the-counter teeth whitening products and remedies to whiten their teeth. But unfortunately, most of these products contain harsh chemicals which can have harmful side effects. 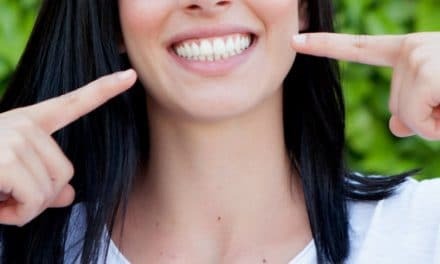 There are many natural ways, such as oil pulling, baking soda brushing, apple cider vinegar rinse, hydrogen peroxide mouthwash, etc., with which you can you can whiten your teeth and brighten your smile. People associate white teeth with good health and attractiveness. In fact, the total annual revenue of the teeth whitening industry globally is around $11 Billion. Also, yearly spending on teeth whitening products amounts to $14 Billion (1). The data is mind-boggling. Let us learn in detail about how to whiten teeth naturally without burning a hole in our pocket. Also, understand why our teeth get discolored and methods to brighten them up without using harsh chemicals. Why do our teeth get discolored? Our teeth can get discolored from the stains on the surface or due to some changes in the tooth. Here are some of the common causes of teeth discoloration. Specific food and drinks like tea coffee and wine can discolor teeth. Smoking and chewing tobacco can stain teeth. Naturally high fluoride levels in water can cause teeth discoloration. A fall that can damage a developing permanent tooth can lead to discoloration. Also, the affected tooth may change color by laying down dentin as a result of injury reaction. Dentin is a darker layer which is below the outer layer of enamel. Medications such as tetracycline and doxycycline, when given to young children, can causes discoloration. Cancer treatment such as chemotherapy can also lead to teeth discoloration. The enamel, which is the outer layer of the teeth, gets thinner with age, and the yellow color of dentin shows through it. These natural teeth whitening methods are pocket-friendly and effective. Baking soda is one of the most popular home remedies to get your teeth to shine and sparkle. It is mildly abrasive, and it helps to scrub away stains on the teeth. Use it regularly, and you will notice a change in your teeth over time. Studies have shown that baking soda is also effective against the growth of bacteria in the mouth (2). This is one of the reasons that many kinds of toothpaste contain baking soda. In fact, according to one study, toothpaste that contains baking soda is more effective in removing stains from the teeth than toothpaste that does not include any baking soda (3). Mix one teaspoon of baking soda and two teaspoons of water. Brush your teeth with this paste three or four times every week for best results. Put two tablespoons of baking soda in a cup of water. Rinse your mouth with this solution two or three times a day. Apple cider vinegar is a natural antibiotic and can effectively remove stains from teeth. The main ingredient of apple cider vinegar is acetic acid, and it is very effective against bacteria. Since ACV is naturally acidic, it helps break down plaque which gets stuck in the teeth. According to one study, when apple cider vinegar was used on teeth of cows, it did have a whitening effect. Unfortunately, it also softened the teeth (4). You should not use apple cider vinegar every day as it can erode the enamel of the teeth. Mix one teaspoon of apple cider vinegar in a glass of water and use it to rinse your mouth. Take a finger and rub apple cider vinegar on your teeth for a minute. You must rinse your mouth afterward. Apples contain malic acid which boosts saliva and helps to wash away bacteria and food particles. Pineapples contain bromelain, which helps to whiten teeth. According to a study, toothpaste that contains bromelain is more effective in whitening teeth (5). Strawberries also contain many antioxidants which can benefit the teeth. While these fruits may not be as effective as brushing your teeth, they help rub plaque away as you chew them. Though studies have not found strawberries to be a very useful remedy for to whiten teeth, many people claim that malic acid found in strawberries can remove discoloration from teeth. Mash up a fresh strawberry and mix it with baking soda and brush your teeth with this mixture. Hydrogen peroxide is a natural antibacterial and antiseptic agent. It is also a natural bleaching agent (6). Hydrogen peroxide is also used in some commercial whitening products. One study found that brushing with toothpaste that contains hydrogen peroxide, and baking soda made the teeth 62 percent whiter in six weeks (7). Do not use a very concentrated form of hydrogen peroxide as it may cause gum irritation or tooth sensitivity. Three percent or 1.5 percent solutions that are readily available at the drug store are considered the safest. Dilute hydrogen peroxide with water and use this solution as mouthwash before you brush your teeth. Mix 2 teaspoons of hydrogen peroxide with one teaspoon of baking soda and use this mixture to brush your teeth. Oil pulling is an Ayurvedic remedy for cleaning teeth and gums. It involves swishing oil like sesame, sunflower or coconut oil in the mouth for about 20 minutes. This helps in removing bacteria and plaque from the mouth and helps to whiten the teeth (8). Coconut oil is rich in lauric acid, which has proven anti-inflammatory and antimicrobial effects (9). These beneficial properties and its pleasant taste make coconut oil a popular choice for oil pulling. Sesame oil is also beneficial in removing Streptococcus mutans, which is responsible for plaque and gingivitis (10). Though oil pulling is a safe and effective way to maintain oral hygiene, there is no evidence to prove that it helps in making teeth whiter. However, many people believe oil pulling is a useful whitening technique. Put one teaspoon of coconut, sesame or sunflower oil in your mouth and push and pull it through your teeth for about 20 minutes. Peels of citrus fruits like lemon or orange or lemon essential oils can also be used for teeth whitening. Citrus rinds contain d-limonene, a natural solvent which can help in reducing stains on the teeth. According to a 2010 study published in the American Journal of Dentistry, tubes of toothpaste that contain d-limonene are effective in reducing smoking stains from the teeth. Unfortunately, this solvent is not as effective in removing tea stains. Since citrus can erode the enamel of the teeth, you must rinse your teeth after using citrus peels as teeth whiteners. Rub the white side of the citrus peels on your teeth. Add some salt as it can act as a scrub. Make a powder of dried orange peels and dried bay leaves. Take a small amount and add some water to it to make a paste. Rub it all over your teeth. Activated charcoal is a finely powdered black powder that is made from coconut shells, bone char, olive pits, coal, sawdust, and other materials. When this powder is processed with high heat, it charges it. Activated charcoal is an effective remedy to whiten teeth. It changes the pH balance in the mouth and prevents cavities, bad breath, and gum disease. It absorbs plaque and microscopic bits and thus whitens teeth. Brush your teeth with powdered activated charcoal two or three times a week. Rinse your mouth well after use. How can you prevent teeth stains? Our teeth were never meant to be white. The natural color of our teeth is light yellow, but they do tend to darken as we age. As we all know, prevention is better than cure. So, here are some ways to prevent your teeth from staining. Many drinks that we enjoy including coffee, tea, wine, cranberry juice, etc. can stain our teeth. Make sure you brush your teeth after you eat or drink such foods. Regular flossing of your teeth is also essential for your dental health. Drink soda, juice and iced tea with a straw. This will minimize the contact of the stain-causing liquids with the front of the teeth. Anti-bacterial mouthwash help get rid of plaque. Plaque makes teeth sticks and can aid staining. An electric toothbrush is the best option for reluctant brushers. Switching to an electric toothbrush will ensure that you brush your teeth properly. Sugar supports the growth of Streptococcus mutans bacteria which causes plaque and gingivitis. Reduce your consumption of sugar and brush your teeth after you eat anything sweet. Sometimes when your tooth enamel gets eroded, it exposes the yellow-colored dentin underneath. A diet rich in calcium protects our teeth from enamel erosion. So, have calcium-rich foods like milk, cheese, and broccoli. 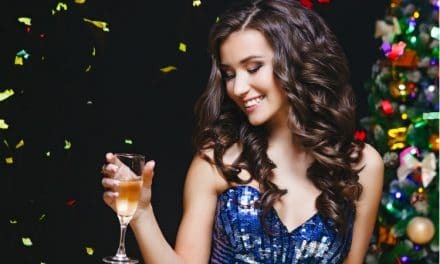 How to whiten teeth conventionally? There are several whitening products, such as rinses, over the counter gels, whitening toothpaste, strips, trays, etc., are available in the market for teeth whitening. Also, you can consult a dentist for getting in-office bleaching done for your teeth. Your dentist can prepare a custom-made tray for you to do at-home bleaching. Most of the toothpaste available in the nearby store contain mild abrasives to assist in teeth stain removal. Some of them also have a chemical based polishing agent for removing extra stains. The toothpaste does not contain a bleaching agent but has hydrogen peroxide or carbamide. There are several types of mouthwash available. Their primary functions include mouth freshness, reduction of gum disease and plaque. Some of them also contain hydrogen peroxide, which aids in teeth whitening. You have to swish for 1 minute before brushing your teeth. You can get over the counter whitening strips which are very thin. They are applied directly to teeth and kept for 20-30 minutes. These strips are coated with hydrogen peroxide-based gel, which aids in stain removal. You may see the results in a few weeks to months. In-office whitening is carried by a dentist. This process involves bleaching agent, heat, and a special light. The whole treatment lasts for 30 minutes to 1 hour. Here, you can get 3-4 shades of white teeth. The result can be seen in the first treatment itself. Also, this is the costliest method among others. This is DIY at home process to whiten your teeth. It has to be done under dentist instructions. Your dentist will provide you with custom-made tray and bleaching solution for the tray. As per the instructions, you may have to keep this tray in your mouth after putting bleaching solution in it for some time. The length of time, the amount of bleaching solution varies case to case and therefore, dentist guidance is a must. This method is a slow process and might even take a few weeks to show you results. Does whitening work all the time? The simple answer is ‘No’. Teeth whitening largely depends on the present condition of your teeth. If you have yellow teeth, then chances are brighter to get 1-4 shades of whitening. But the same results can be repeated on brown or grey colored teeth. Also, teeth whitening may not work on veneers, caps, crown or fillings. That’s why it is essential to talk to your dentist before going for whitening. The best way to whiten your teeth is to prevent the discoloration process by reducing the intake of food and drinks that can cause staining. Eat food that is healthy and rich in calcium. Avoid smoking and chewing tobacco. Still, if you become a victim of teeth discoloration then follow above natural ways to whiten teeth. Conventional products and remedies to whiten teeth are effective in removing the surface stains from teeth. But overuse of these products can damage the teeth enamel. Some of these products are acidic can make tiny holes in the enamel over time. Also, some people complain of tooth sensitivity after they go for dentist bleaching process. This happens when the peroxide in the whitener gets through the enamel to the soft layer of dentin and irritates the nerve of your tooth. In most cases the sensitivity is temporary. You can delay treatment, then try again. Overuse of whiteners can also damage the tooth enamel or gums, so be sure to follow directions and talk to your dentist.